The abduction of hundreds of Assyrians by ISIS in late February sent shockwaves through the Swedish-Assyrian community. Some of the detainees have been released, but Assyrians in Sweden fear the extinction of their community at home and urge the world for support. On February 23, ISIS attacked a cluster of Assyrian villages along the Khabour River in north-eastern Syria and abducted more than 200 civilians, among them women, children and elderly. Svante Lundgren, Associate Professor at Lund University and Education Manager at the Assyrian Federation of Sweden says at least five families in Södertälje have relatives among the detainees. – Some of the employees at the organization and others from the Assyrian community here in Sweden have daily contact with people in the area, but because of the chaotic situation in Syria there are constant rumours of execution and release. It’s not easy to get a clear picture of what is happening and the families are, of course, devastated. 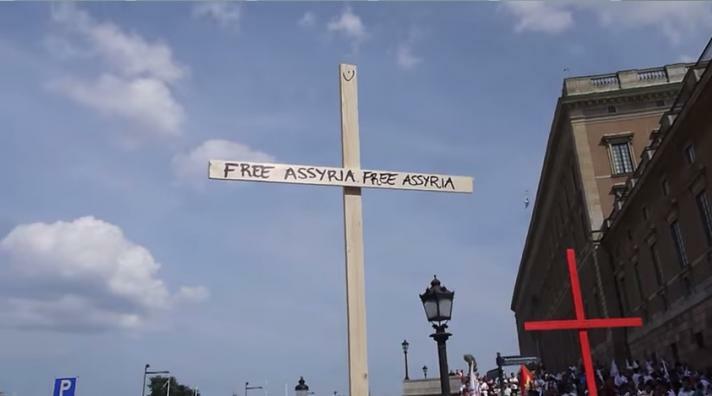 Crosses carried by protesters during one of several manifestations arranged in Stockholm in support of the Assyrian community in Syria and Iraq. 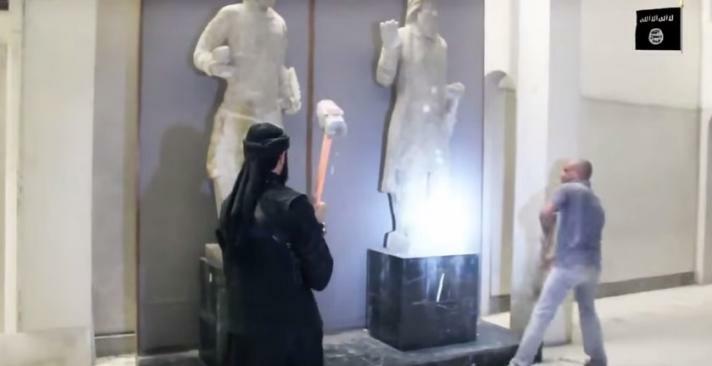 Three days following the abduction, ISIS destroyed ancient artefacts dating back to the early Assyrian civilization at the museum of Mosul in Iraq. This was followed by the demolition of the archaeological Assyrian cities of Nimrud, Hatra and Khorsabad. – The existence of these small minorities, particularly the Assyrians and the Yazidis, is at stake. They are so few and so weak that the worst case scenario would be that they were wiped out completely. This is a humanitarian and cultural tragedy in every sense of the word, Lundgren continues. The Assyrian society in the Middle East has suffered a long history of persecution and massacres, but the rise of ISIS in recent years has proved disastrous as the Assyrians, who constitute the majority of Iraq’s Christians are at the brink of total extinction. According to Lundgren this is the result of the US invasion of Iraq in 2003. – As the Iraqi society was shattered, sectarian tensions arose between Shia and Sunni Muslims. Extremist groups thus took the opportunity to do away with the “infidels” and systematically targeted Assyrians and other Christians. Because the invasion weakened the Iraqi state and government, the authorities were unable to maintain order and protect the minorities. Lundgren points out that the Assyrian Federation of Sweden is “working hard” to affect the Swedish government and political parties with whom they have a “good contact”. 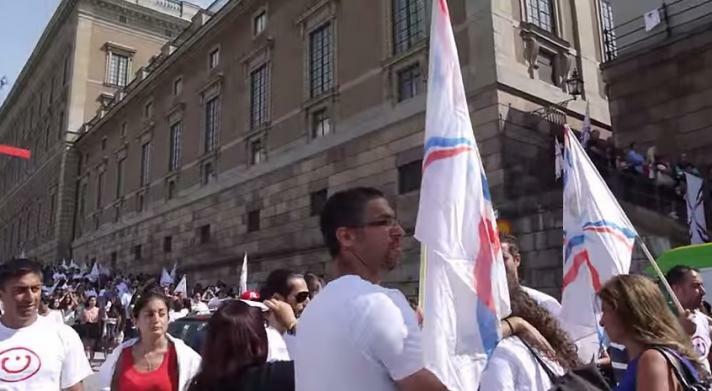 One of several manifestations in Stockholm, Sweden held in support of the Assyrian community in Syria and Iraq. – They listen to us and understand the seriousness of the situation. In a recent relief effort the Assyrian Federation of Sweden managed to collect 1,5 million SEK in one week that – although “a drop in the ocean” as expressed by Afram Yakoub, the Chairman of the organization – are meant to help those most affected by recent events. Swedish Minister of Foreign Affairs Margot Wallström has recognized the crimes against the Assyrians and other ethnic minorities in Iraq as “genocide” which, according to Lundgren, was a significant move. Despite this, he fears for the future of the Assyrian community in Syria and Iraq. 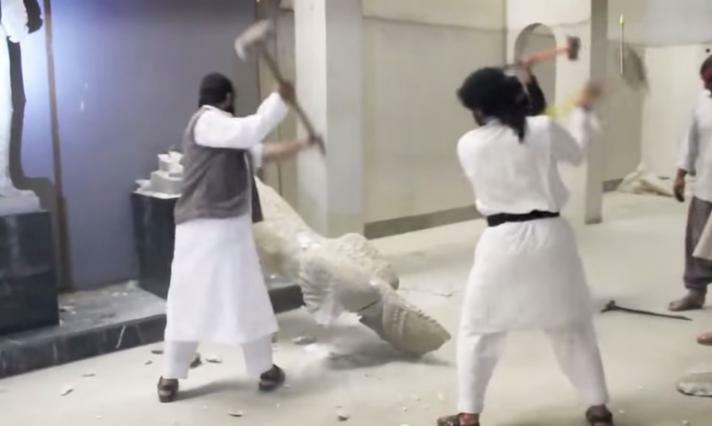 IS destroying ancient Assyrian artefacts at the museum of Mosul, Iraq. – We are thankful for the sympathy of the Ministry of Foreign Affairs and its condemnation of ISIS’ abuse against the Assyrians. However, we’d like to see more swift actions as the situation is quite alarming. Although Lundgren is convinced that, in the end, ISIS will be defeated, there is still “reason to worry” as the Assyrians have been “hit hard for so long and each time they become weaker” thus it is “about time the international community reacted”. – There is no doubt that people in such desperate situations feel disappointed and forgotten. We’re doing our best to stay positive.